A significant number of my customers email me saying that the last time they bought a turntable on ebay it arrived in pieces. This is unfortunate but not surprising. 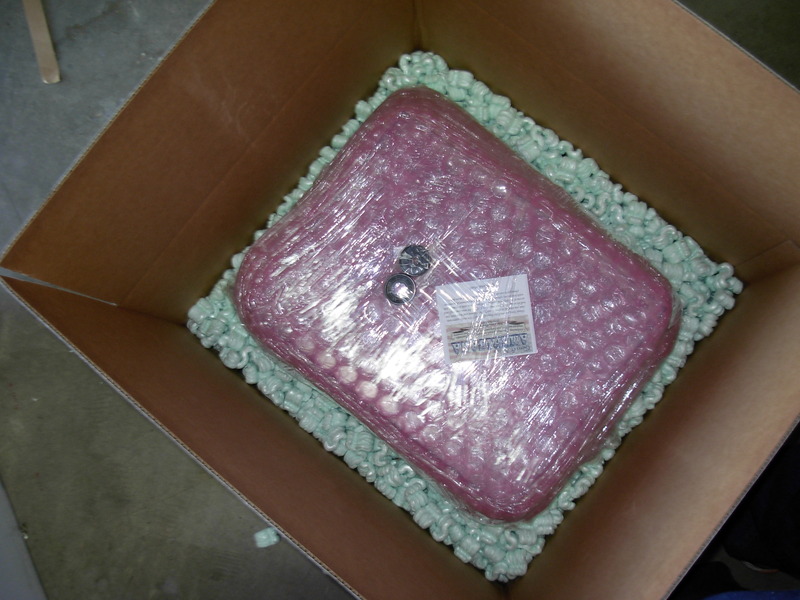 Turntables are relatively delicate precision instruments that many non-audiophile pickers just cram in a box and throw it in the mail. 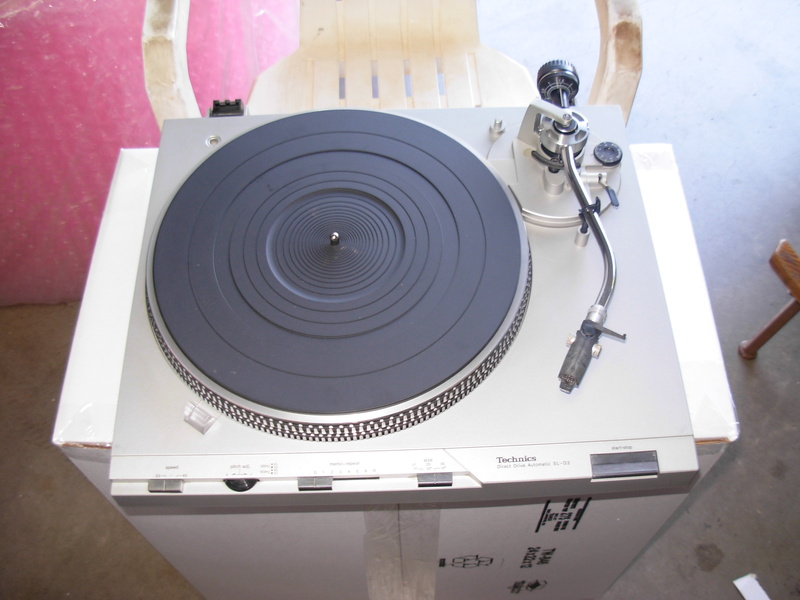 Essentially turntables are a fairly simple machine. There’s a motor to turn the platter either directly or via a belt or idler wheel. There’s a tone arm that holds the cartridge on the record and there’s a dizzying array of “automated” functions that move the tone arm around. All of this is supported by some type of suspension system which protects it all from unwanted vibration. As simple as all of that seems, engineers have created literally millions of different ways to handle these functions and it’s my job to understand them and protect them so that they get to you without damage. Suspension systems usually have some sort of way to lock it down. This is usually done with a few screws which can be placed almost anywhere. We always tighten down the factory secures and further protect it with bubble and shrink wrap. The platter is a critical part of a turntable and is fairly heavy especially on higher end turntables. On most TTs it is not permanently attached which means that if it comes off of the spindle this big piece of Heavy Metal can smash up a lot of delicate parts. 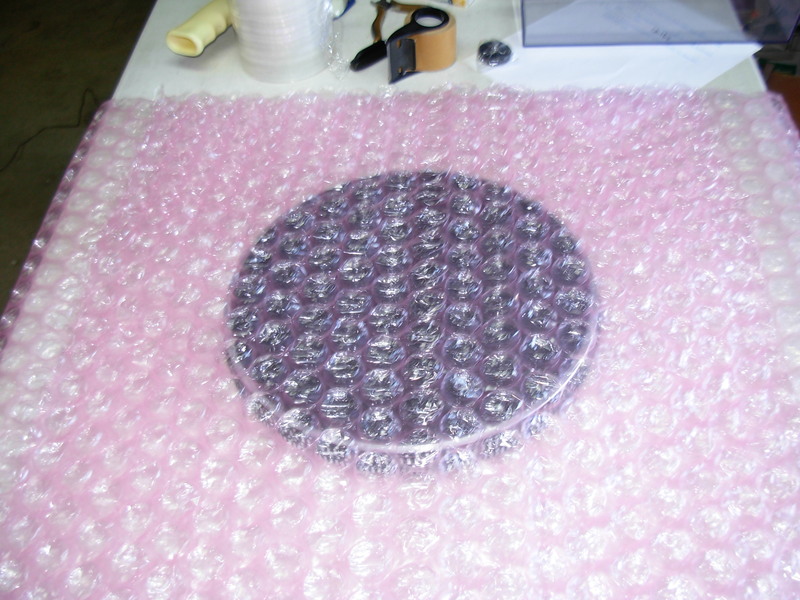 On almost every turntable the platter is removed, separated from the plinth with bubble wrap and secured in place with shrink wrap. Tone arms come in a variety of forms but all are a lightweight tube with a cartridge on one end, a balance weight on the other and delicate pivot in between. Because shipping includes lots of banging and dropping we remove the weight and hold the tone arm in place both with a zip tie and bubble wrap which is secured by shrink wrap. The magic cartridge which transforms little vibrations in to electrical signals has a very delicate needle which needs to be protected from damage. We leave the cart in the head shell because it is light and it is easier for us to protect the needle that way. I believe that all turntables are beautiful. Some more so than others but all need to be protected against scratches, dints and cracks which is why we have a double layer of bubble wrap on all outside surfaces which are kept in place with shrink wrap. 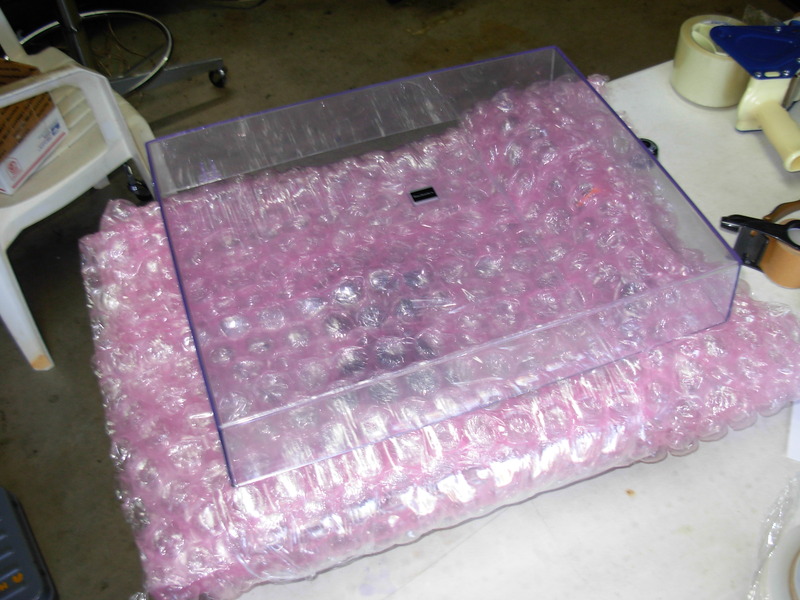 When you get one of our turntables it’s kind of like a birthday cake with multiple layers separated by pink bubble wrap with the outside covered with more bubbles and all wrapped up into one bouncy package with shrink wrap. 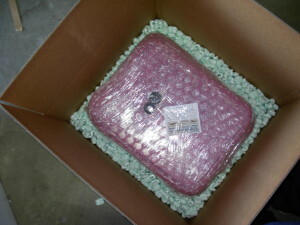 This is surrounded by a couple of inches of Styrofoam peanuts in a new heavy duty box. Actually you can. 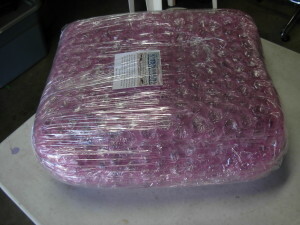 The boxes cost us $6.60 a pop, peanuts, bubble and shrink wrap cost about $7 and tape ain’t free. We add a $10 packing charge on all of our turntables to help cover these costs but we think it’s worth it and most of our customers do as well. You can find cheaper turntables on ebay and you might get lucky and it arrives damage free. Don’t laugh, it could happen, but ours can handle just about anything the post office can throw at it so you don’t have to gamble with your sound investment.